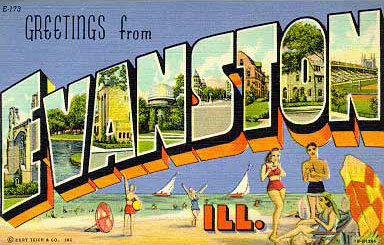 gaslight anthem – Page 5 – Greetings from Evanston, Ill. It is March. All times Eastern. When you’ve listened to the album dozens and dozens of times, when you got hooked on your very first play, when you buy your tickets four months before the show, when you’ve got your worries about how the sound arrives live and whether they’ve got another a great album in them, you don’t know what to do with the size of the smile stretching across your face when you find your band awake and alive enough to have maybe a thousand great nights ahead of them, when the sound hits like rock joy for crowd singers and moshers alike, when you get up the next morning to wonder when they’re coming back, when the stuff you want to get hooked on now is their other/old stuff, and when your next listen comes singing in the shower. 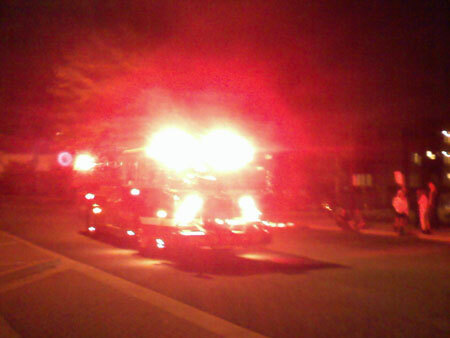 “I saw tail lights last night in a dream about my first wife…” Saw a fire truck last night. Same reaction. In related news, I’ve got my tickets for the 9:30 Club show this fall. Friend Thuan alerted me this week to The Gaslight Anthem’s coming appearance on Conan (Tuesday, December 9). First national TV for the band? I have no idea. But if you liked this year’s album, you’ll enjoy the few recent bootlegs of the band, thanks to its message board. None get a full sound — where the album serves them — but they’re a start. For a more guaranteed kick, see the new Old White Lincoln video. It’s not as raw as the ’59 Sound vid, but you get to know the band better. The second person came less than a week later, Debra from Ohio State at the ONA conference. We’d met only a few times before, but she remembered my kind of music. “I heard this great band on NPR last week,” she said, “real rock and roll stuff, and you would totally like them.” She blanked on the name. Gaslight Anthem? Yes! That was it. The next day at a friend’s house party, I met this guy Mike who likely brought that NPR story online. Wherever Gaslight Anthem was, they were coming for me. What they didn’t know was I’d already bought in. Something you should know about me: Historically, I’ve never liked any band at first listen. Except for maybe Elvis and Springsteen. It hasn’t been a good quality. I have no idea whether I actually disliked all of these bands or just wanted to dislike them for disliking’s sake. For instance. Here was my heresy after seeing Wilco for the first time, on the Yankee Hotel Foxtrot tour: “If Wilco released a live album of this tour, I might buy that. The songs seemed to have much more vitality in concert, without some of the miscellaneous sound for the sake of miscellaneous sound. That’s not to say the album is pretentious, but I’d personally rather hear the results of this experimenting instead of the experimenting itself. Aka Wilco’s next album.” Oh, hater Patrick. Ryan Adams got much worse for longer. 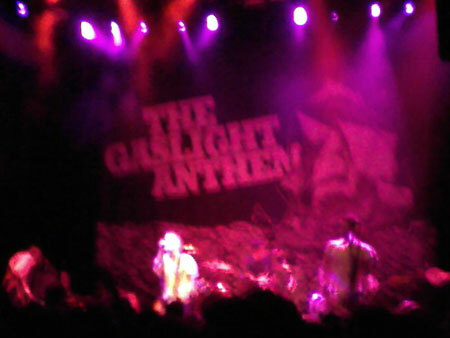 Gaslight Anthem, though, beat the trend. The first time through The ’59 Sound, I loved the album and wanted to play it again. I again couldn’t tell if this feeling was the band or a life consistency. But I liked having the arrows point the other way. In my experience, wannabe Springsteen sucked. The Killers ran out of Brandon Flowers’ voice; Arcade Fire smartly went experimental Beaver Brown instead of tracking so closely; and Marah fell into a different file for me, critics be damned. Other comers fell lower, and their names were lost. If you’d bought advertising in Backstreets, you’d done bad. Evidence for, evidence against, the personal positioning wasn’t getting an answer. What was clear was that Gaslight had nailed the sound. Favorite songs: Great Expectations (“Everybody leaves and I’d expect as much from you”), the title track, Old White Lincoln (“You and your high top sneakers and your sailor tattoos / And your old ’55 that you drove through the roof / Of the sky, up above these indifferent stars / Where you just kept coming apart, straight in my arms”), High Lonesome (“And Maria came from Nashville with a suitcase in her hand / I always kinda sorta wished I looked like Elvis / And in my head there’s all these classic cars / And outlaw cowboy bands / I always kinda sorta wish I’m someone else”), Film Noir, Miles Davis & The Cool, and they were just the first six tracks. The next six followed suit. I told all kinds of friends about the band, and rambling to one over a beer, I stumbled onto my favorite line from the album. From Casanova, Baby!, there was the chorus: “We could run all night / And dance upon the architecture / Come and take my hand / I’ll do the very best I can.” The line was mental parkour for the romantic, and I was an amateur.